The following resources were created to help deepen the conversation about youth homelessness and The Homestretch. Developed in partnership with ITVS and our national advocacy partners, this in-depth discussion guide is a powerful tool to facilitate dialogue and deepen understanding of the complex issues in the film. It also provides tools and suggestions for how to take action and foster change. 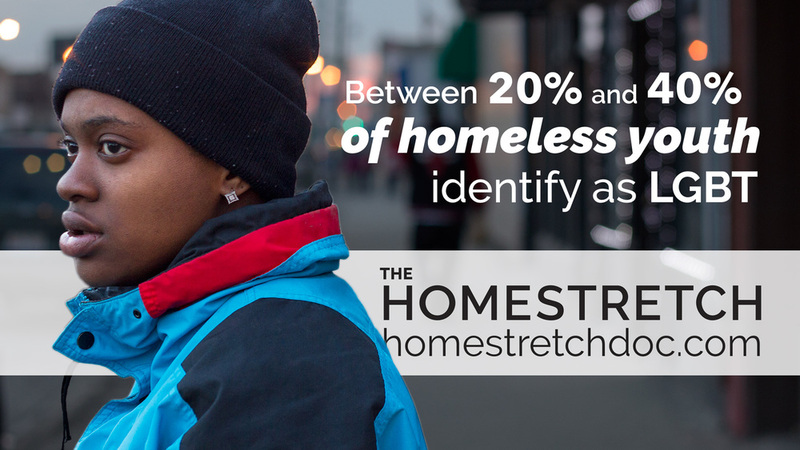 The Homestretch has been working with high school audiences around the country on how to support youth experiencing homelessness in their own schools and communities. Inspired by these students, we've developed a series of simple, practical suggestions for a Youth Call To Action you can click to download and share. The Homestretch Youth Action Guide is a deeper collection of discussion questions, resources, and activities for high school and university audiences that will guide and empower you throughout the process of addressing the challenge of youth homelessness. The guide is designed to help you put your ideas into action, so scribble down notes, have discussions with others, and document your journey along the way. Originally created to support events around the PBS Broadcast, this useful tool kit includes tips for hosting a house party and ideas for using The Homestretch to help educate your friends, family, school, organization, and community on ways to better address the needs of homeless youth. Now that broadcast is over, you can stream the film online or purchase a DVD for use with this toolkit.